This was the second half of the evening with the CGA Varsity Volleyball team hosting Oregon Davis High School at Culver Academy. The games were fun to watch with the teams very well matched. I stayed for three games with the CGA Eagles winning the first game and barely getting beat in the two following games. I’ve posted a few of my favorites here; more photos can be found at www.culverphotos.com. This evening, the CGA JV and Varsity Volleyball teams hosted Oregon Davis. I posted a few of my favorite photos from the JV game. I’ve uploaded more photos at www.culverphotos.com. I didn’t take as many photos of this game because the JV team dominated in the games and quickly won them. 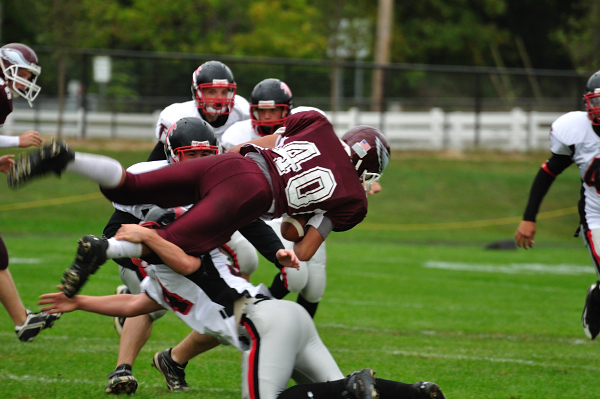 Today’s Culver Academy JV football team played John Glenn at home. The photographs from today’s game reflect how hard both teams played. 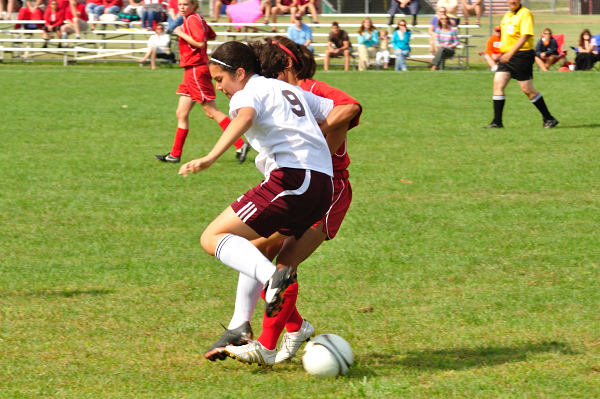 There was a lot of action on the field, and the game was tied until the last minute of the game when John Glenn scored. As you can in the photos, players were in the air and all over the football. The Culver defense fought hard all night and caused John Glenn to make several turnovers. As photographers, we had a lot of opportunity for action shots tonight. We had a hard time picking our favorites, so check out more photos of this exciting game at www.culverphotos.com. This weekend, Ginny traveled to Indianapolis to help celebrate our niece Lucy’s birthday. While there, she took some pictures at the birthday party. 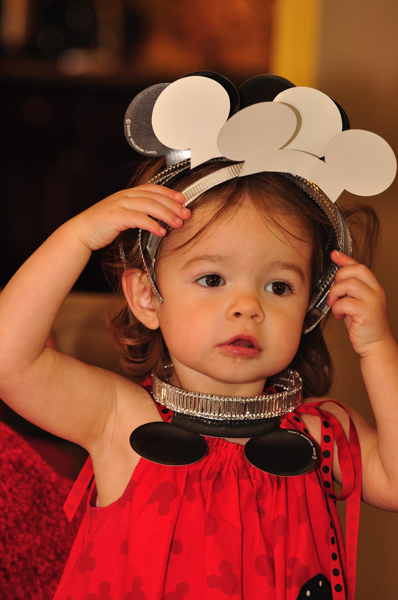 The theme of Lucy’s party was Mickey Mouse. Lucy loves Mickey and Winnie the Pooh. Every time we are there over night, she wants to watch Mickey or Pooh first thing in the morning. It’s like she wakes up thinking about them. Lucy’s friends from next door, Cameron and Mason, attended the party and gave Ginny some great opportunities. She said that she couldn’t resist taking a picture of the girls feeding Lucy’s new doll through the nose! Kids aren’t easy to shoot, as they are always on the move. Just as you get your picture framed, they will notice something that distracts them and move out of frame in a fraction of a second. Even the fastest of cameras can’t get just the right shot when a child is on the move. Despite this, I think Ginny did a great job of shooting the kids at this party. She took 100s of shots, so I had a hard time choosing a handful for the blog. I also threw one in of Lucy in her new Colts jersey, a birthday gift from her aunt and uncle. Go Colts! 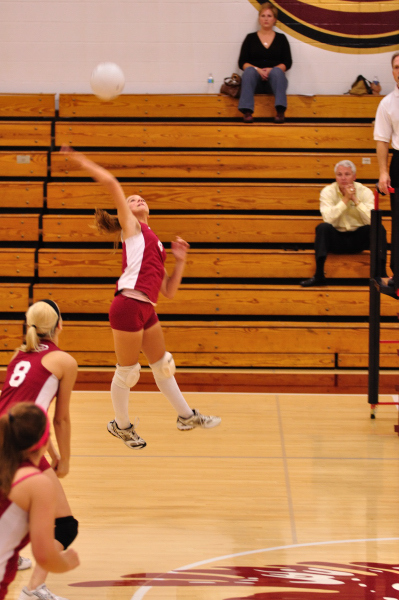 This was the second set of games played tonight by the Volleyball teams at Culver Academy. Earlier, the JV Volleyball team played. 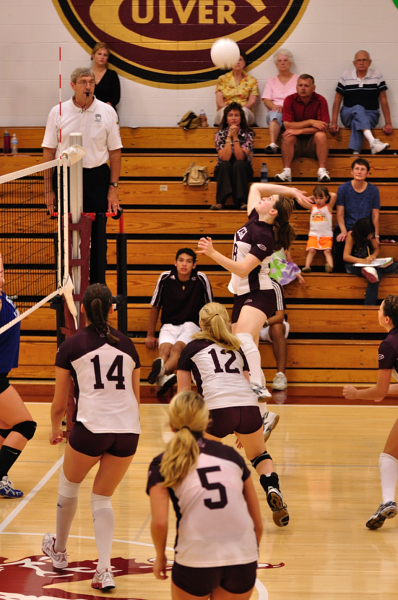 These pictures are from the Varsity Volleyball game. I wish that I had been able to stay past the first Varsity game as the teams were so well matched and the score throughout the game was quite close. Unfortunately though, other obligations required me to leave early. What a couple of fun games to watch. This evening, the Girls JV and Varsity Volleyball teams hosted LaVille at Culver Academy. All the teams were very well matched with close scores in all the games. In the games that I watched, you had no idea who was actually going to win until the final volley. Below are some posts from the JV game. I’ve posted other photos from the game at www.culverphotos.com. 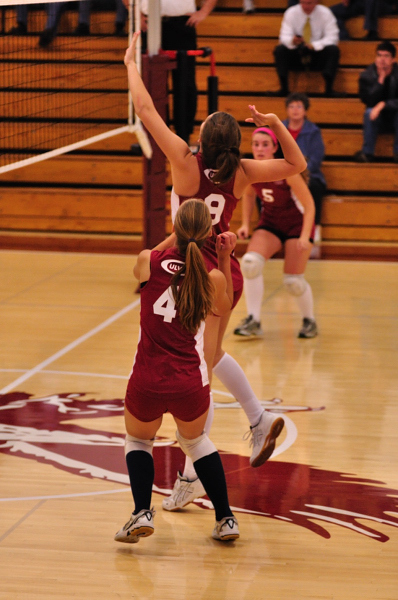 This evening the Culver Girl’s Academy Freshman Volleyball team hosted a 3×3 tournament at Culver Academy. The team had some great plays but, as an observer who has never played volleyball, I think that they were having some difficulty with communication and being in synch with one another. That’s expected of a team of girls who have come together to play for the first time in their careers. There were several times when the team did work as a cohesive group. When they did, they were amazing. 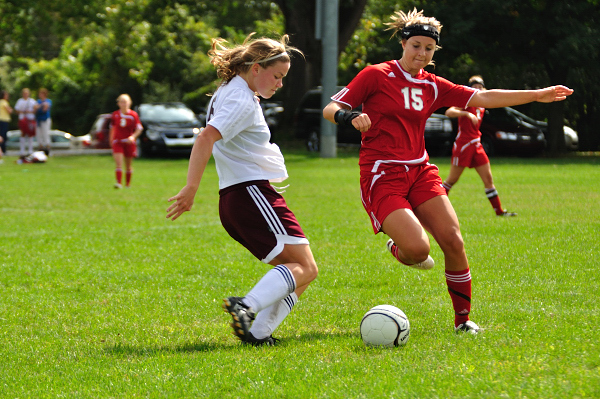 Today was a beautiful day to watch the CGA varsity girl’s soccer team play at Culver Academy. As the day progressed, the temperature rose and I felt sorry for the girls. It was hot just taking pictures. I could only imagine how the girls felt running around in the heat. The lady Eagles played an excellent game that was quite exciting to watch. From what I saw, both teams were evenly matched with no clear dominate team. I found myself staying in the middle of the filed as there was great action happening on both ends of the field. I’m not sure what the final score ended up being. (I shot three soccer games today.) But, whichever team won, I’m sure it was hard fought. I’ve posted my favorites here, but there are several hundred more located at www.culverphotos.com. Just click on the “Culver Academy” link, and the “Culver Sports” section. It’s time for more pictures of Eliza and Avery Loehr (and their mom Wendy). Ginny and I sorted through another set of photos of the Loehr kids. We posted some to the blog earlier this month when we first took the pictures. In this set, you can see the girls close up; beautiful eyes, pretty smiles, and wonderful personalities. We also let Eliza choose her own props. You have to love a child who goes for her books and Teddy Bear first when choosing what to use in her pictures. We had such a fun time working with these beautiful sisters. It was a beautiful day for a home soccer game on the Culver Academy campus. The sun was shinning and I was comfortable in shorts and a short-sleeve shirt. I’d like to hope that weather like today will continue, but I suspect that the days when shorts are comfortable will not be around for long. I did, however, make a poor choice in clothing color. For those who know me or who have seen me at games, most know that red is a favorite color of mine. What can I say, I like wearing my red wind breaker to events as it is loose and has large pockets. The bright color has also prevented me from getting hit on more than one occassion. Today, in addition to my red windbreaker, I also had on a red polo shirt. As you can probably tell from the pictures, I probably should not have worn red. Believe it not, it actually took a few minutes for some Eagle’s parents to talk to me as they thought that I was supporting the other team. The girls played a great game, but they didn’t win. After 80 minutes of intense play, the final score was Eagles-0, West Lafeyette-1. I’ve posted a few pictures here, but there are many more at www.culverphotos.com.